Here is a photograph of the plaque for the Form of 1996. 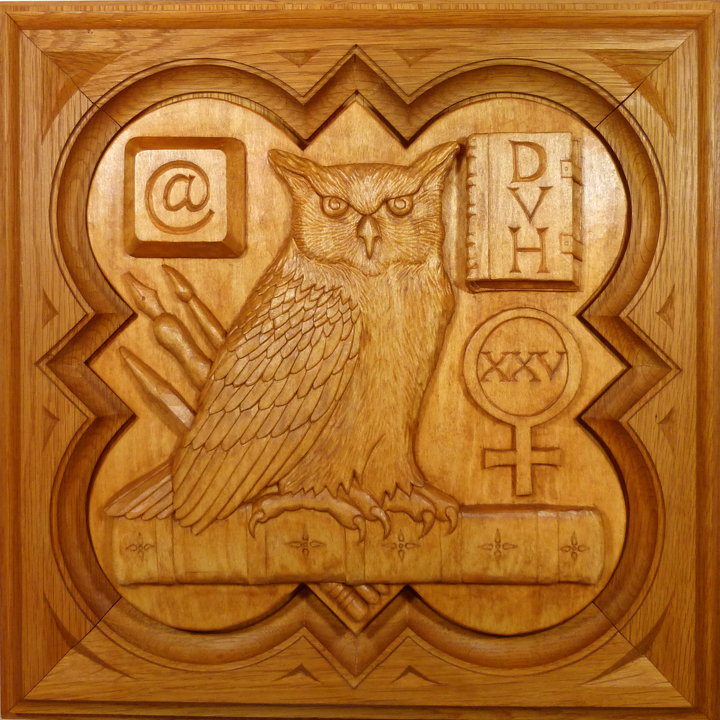 I recently completed the carving, stained and sealed the wood and mounted it in its frame. 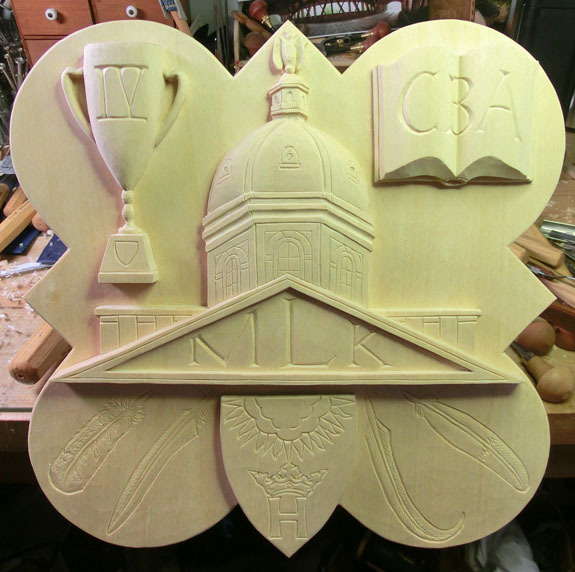 It will now be displayed in the Lower Dining Hall of Coit (New Upper) and will hang above the panels that contain the names of all the members of the Form of 1996. 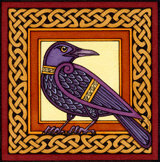 Beneath the photo below is a description of the symbols used in the design. 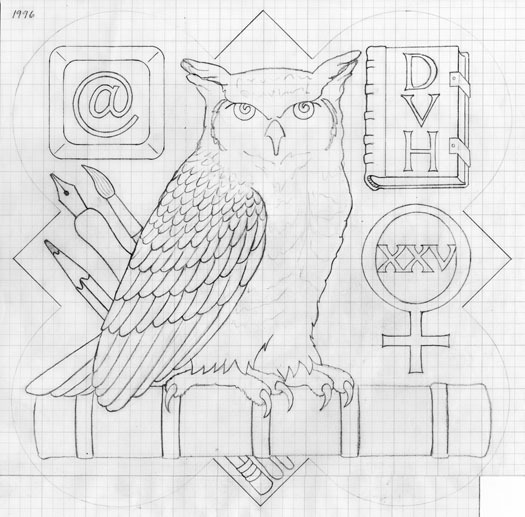 The central design celebrates the development of the Humanities program and is represented by an owl perched on a book, with pen, pencil and brush behind it. 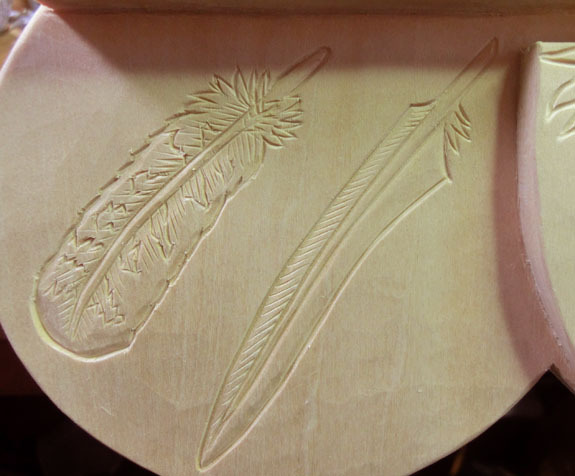 The owl is a symbol of wisdom, and the pen/pencil/brush symbols represent the arts and literature. 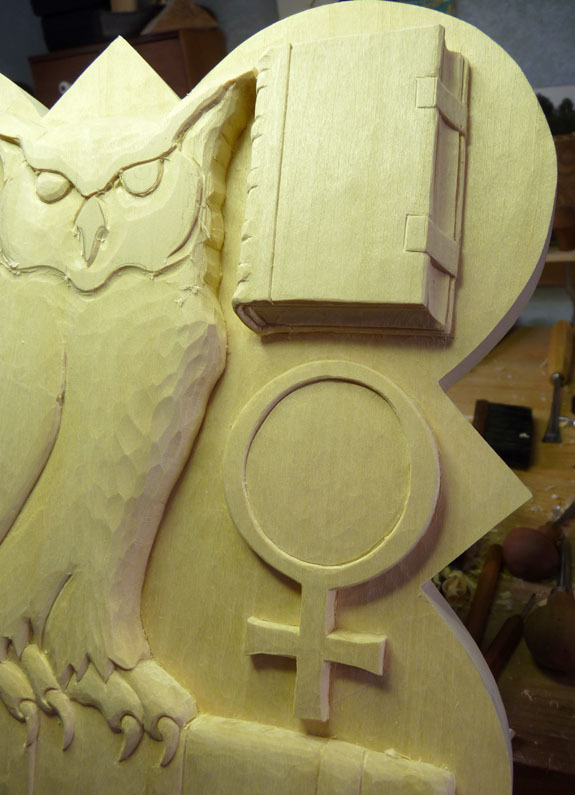 The book that the owl is perched on is a symbol for learning and represents the history, philosophy, and religion aspects of the Humanities program. 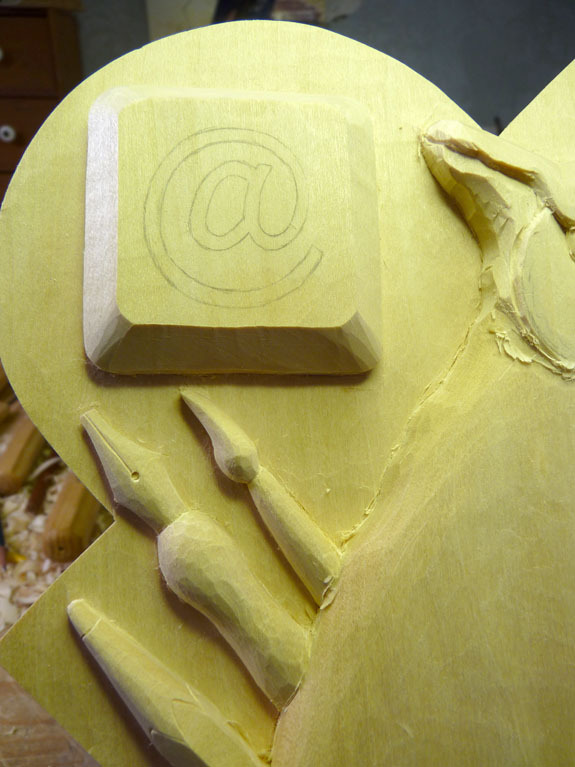 In the upper left corner an ‘at’ (@) key from a computer keyboard is carved to symbolize the first School assigned email addresses for students. 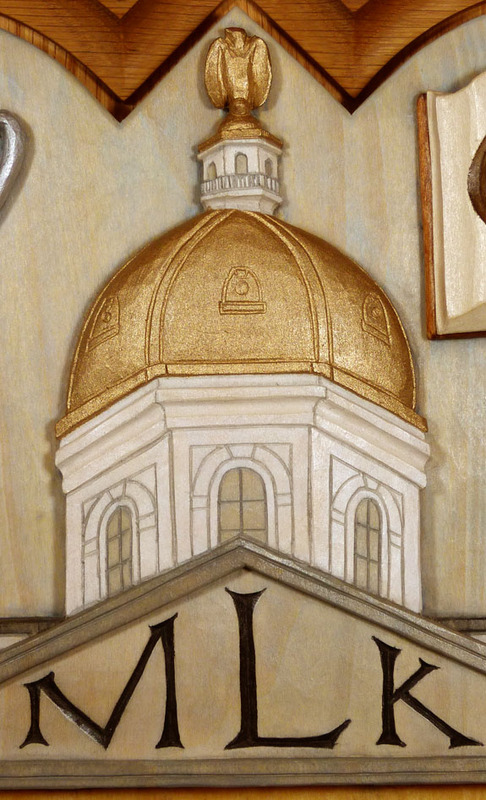 The upper right corner of the plaque has a closed book with initials DVH representing the end of Tenth Rector David Verne Hicks’ Rectorship. 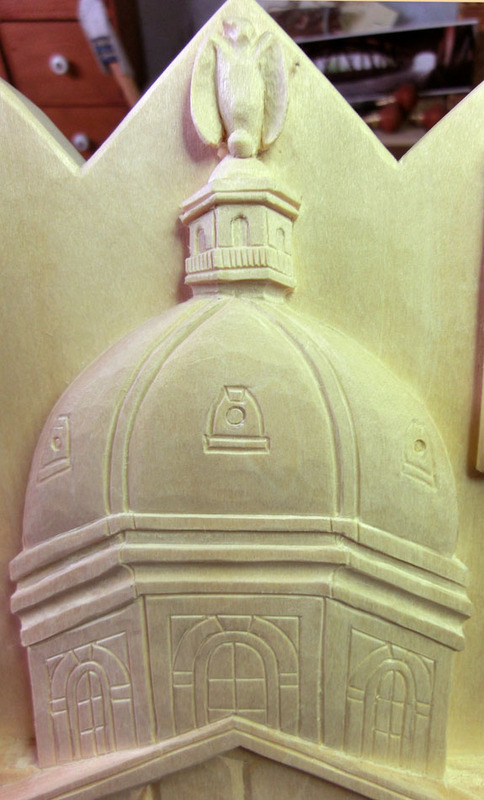 In the lower right section of the plaque a woman’s symbol with the Roman numerals ‘XXV’ carved inside it represent the 25th anniversary of co-education at St. Paul’s School. 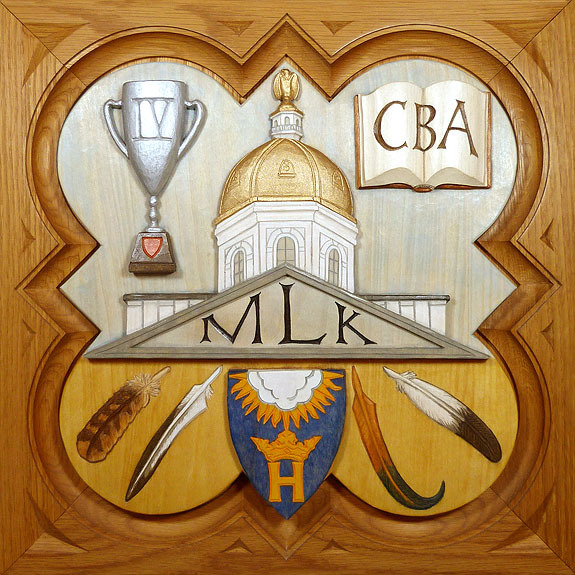 Central Motif: The development of the Humanities program is represented by an owl perched on a book, with pen, pencil and brush behind it. 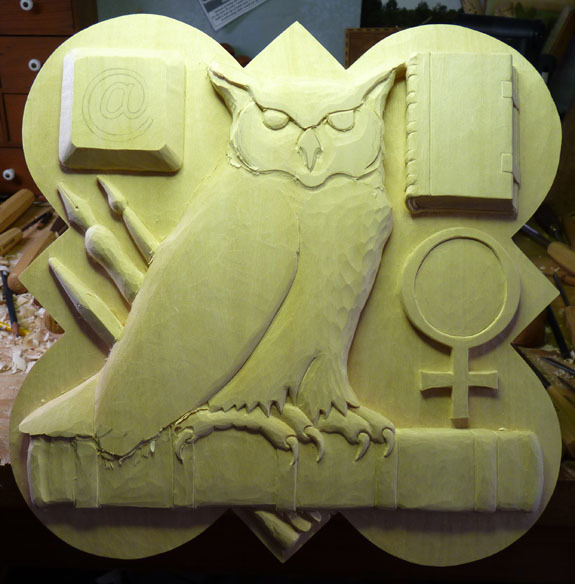 The owl symbol is for wisdom, the pen/pencil/brush symbols represent arts and literature, and the book symbol is for learning (history, philosophy, and religion). Upper Left: An ‘at’ (@) key from a computer keyboard to symbolize the first School assigned email addresses for students. Upper Right: The closed book with initials DVH representing the end of David Hicks’ leadership as tenth Rector. 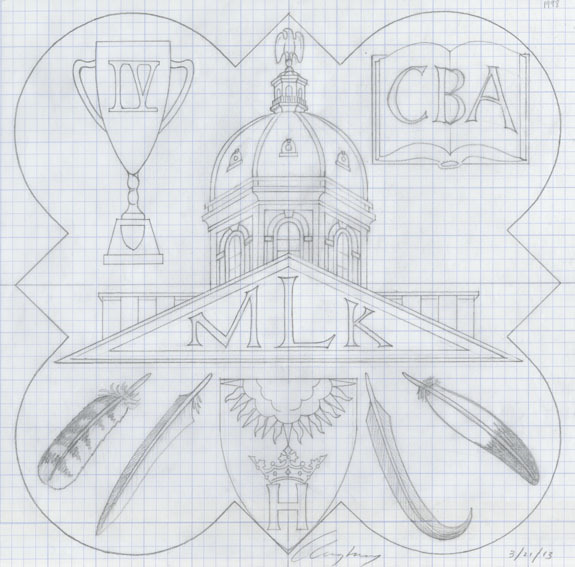 Lower Right: A woman’s symbol with ‘XXV’ inside to represent the 25th anniversary of co-education. 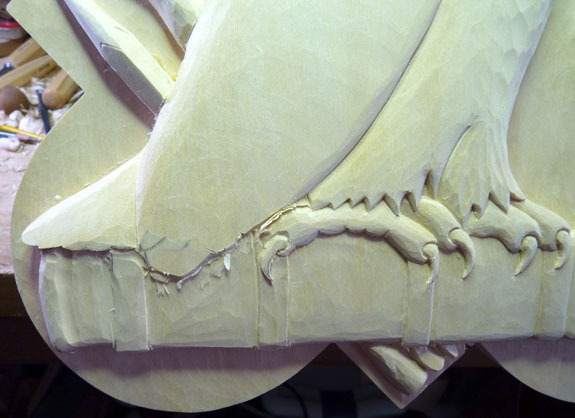 This shows the carving in its current state – it has been roughed out, the background levels established, the rough carving done, and many areas are being worked into their finished state. 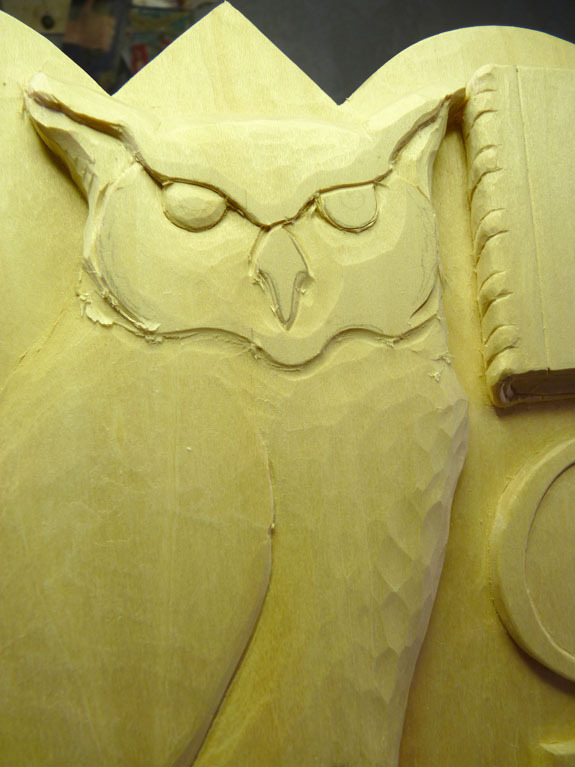 This shows a detail of the owl – much of the detail still needs to be worked on. This photo shows the details of the feet and talons that are being cleaned up. 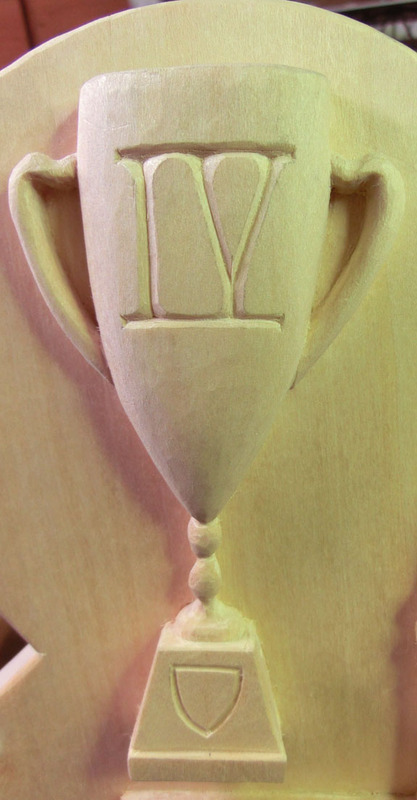 This detail shows the @ key, the @ symbol still needs to be carved into the surface. 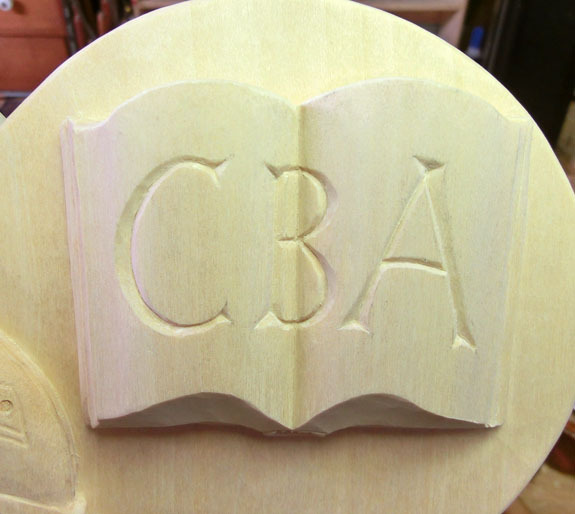 This last photograph shows the symbol for coeducation and the book that will be carved with David V. Hicks’ initials. I will have this plaque with me at Anniversary on June 2nd, although it won’t be entirely complete. 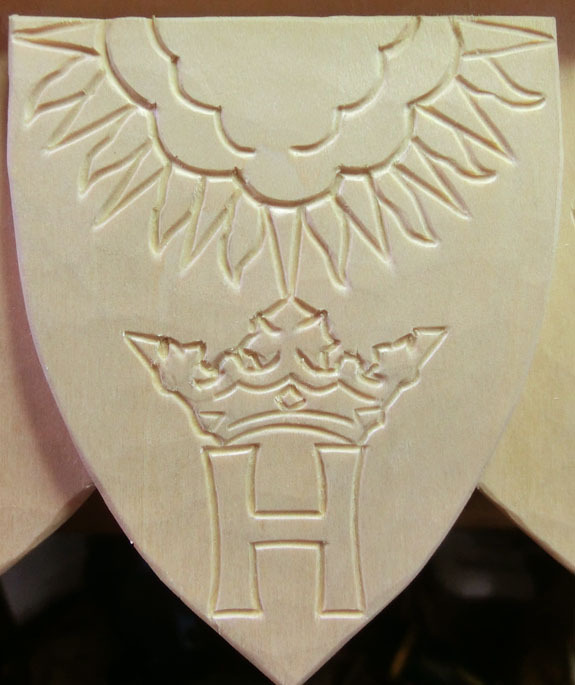 I will post more pictures here when the carving is finished, stained and sealed. 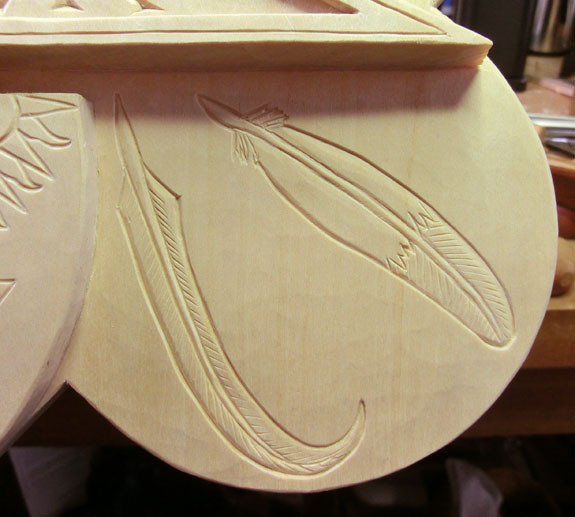 UPDATE – July 19, 2012: Pictures and details of the finished carving can be seen in the Form Plaque Gallery by clicking HERE.